¡Feliz Navidad y Próspero Año Nuevo to Contessa, Colin, Caeli and Carmeh! The perfect Christmas card. Merry Christmas from all the Dixons. And a merry Christmas from Croft & Norma! Didn’t know you guys knew each other. And to y’all as well. Thanks again for having happy hour at your place last night. Love your photo- only thing missing is a strawberry daiquiri or lime mojito in each hand. 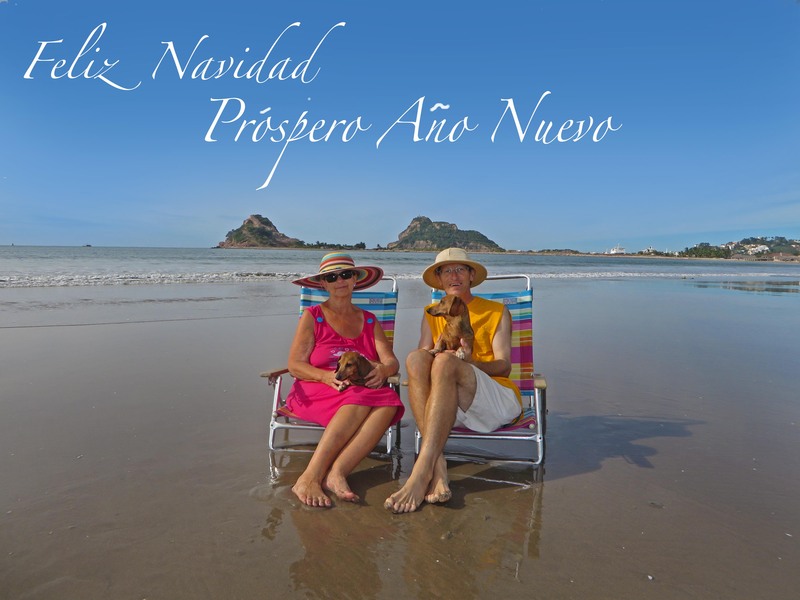 I think about you often at the Isla, so much so that I go to Google Maps and zoom in on Mazatlan. Zap! I’m there in less time than it takes to say’ Fleece Navy Dad’.